Created by the team at It's Sew Emma, the 45-page Peppermint Lane quilt book offers a block of the month pattern, with blocks that include holiday stockings, ginger bread cookies, wreaths, candy canes, wrapped presents, and more. 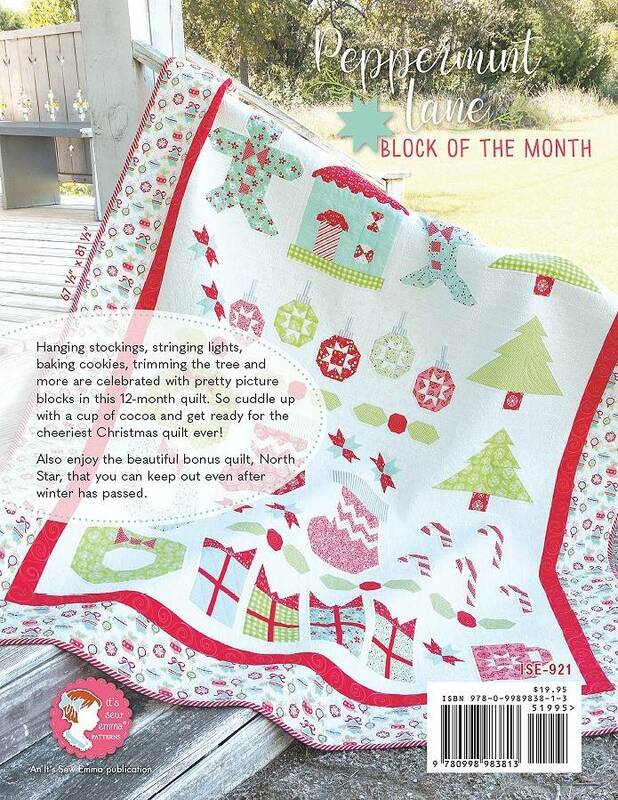 Also includes the North Star quilt -- a bonus project. 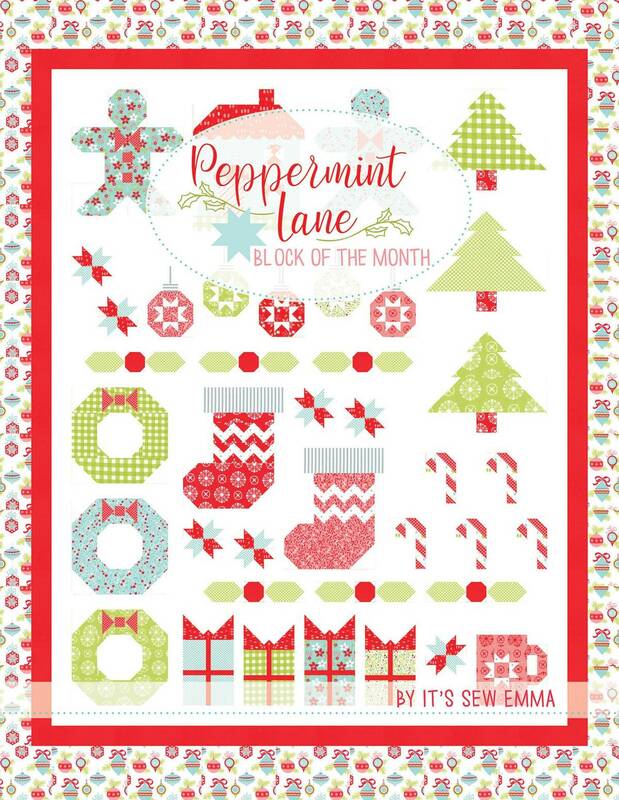 The Peppermint Lane quilt (67.5 inches x 81.5 inches) gets us giddy for certain beloved Christmas traditions. 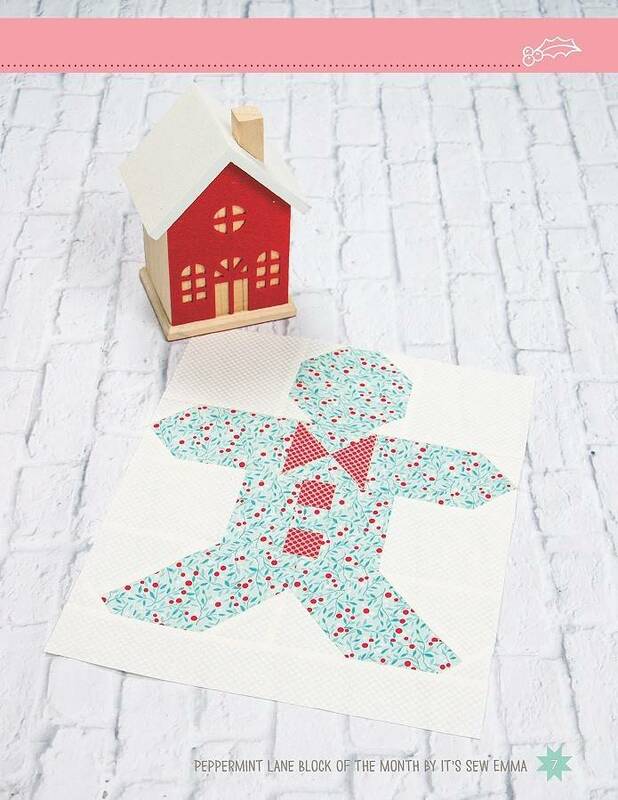 Hanging stockings, stringing lights, baking cookies, trimming the tree, and more are celebrated with pretty picture blocks in this 12 month quilt. With full color illustrations and clear instructions, this book is great for classes, retreats, and casual sew-ins with friends. 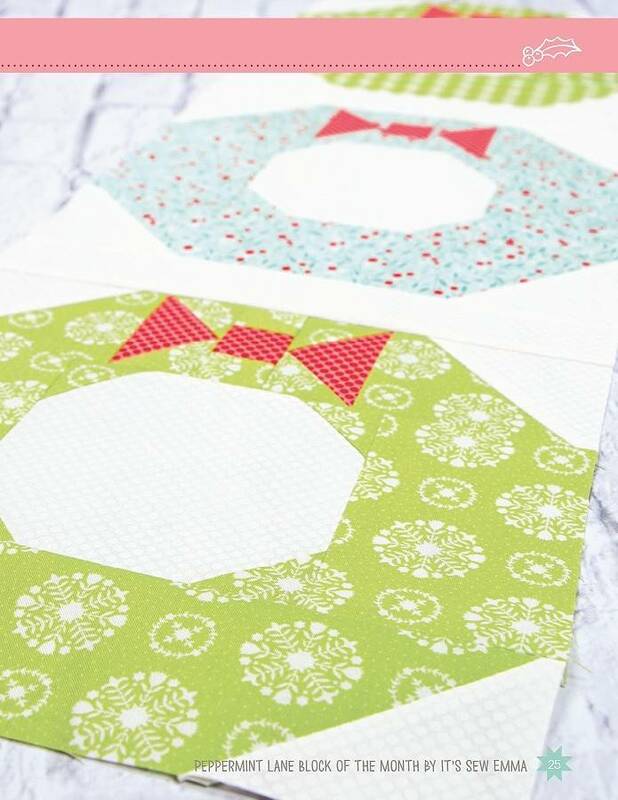 So cuddle up with a cup of cocoa and get ready for the happiest Christmas quilt ever. 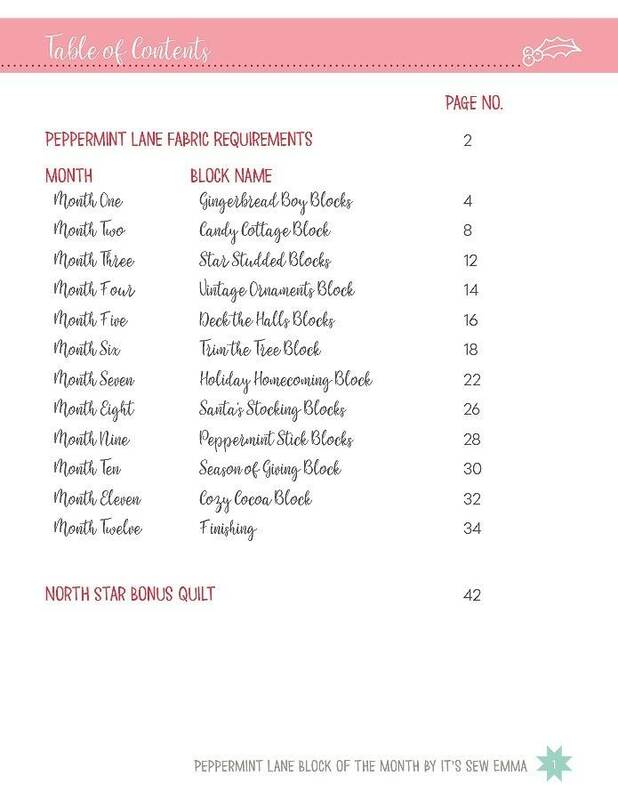 Plus, enjoy the beautiful North Star bonus quilt (63 inches square) that you can keep our even after winter has gone, included free in the book.